A mere 13 days after my birthday was my friend David’s…. and as a staunch VTech alumni, (yeah, he wears one of two VTech polos to work every casual Friday, alternating between Maroon on Orange and Orange on Maroon). 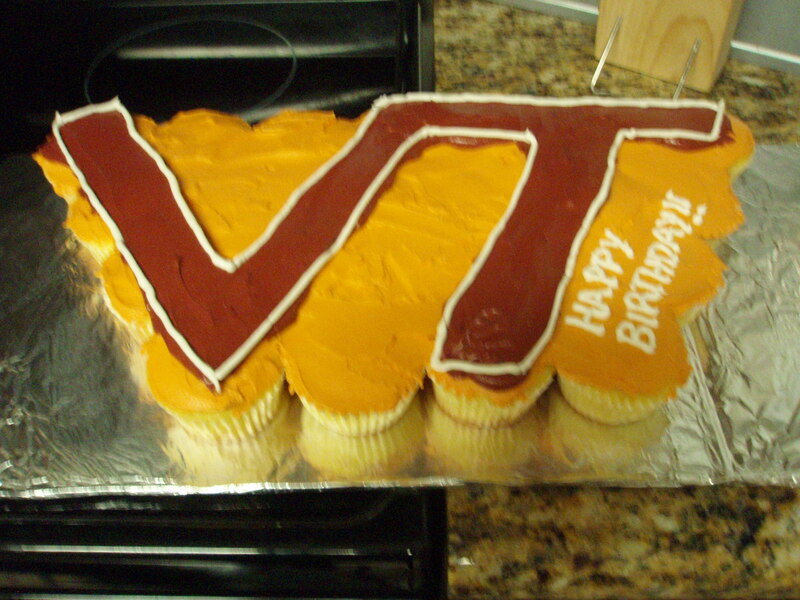 So, what better to give him on his birthday than a little VTech Pride, in edible form? We debated over this for a while… what represents the infamous Frix the best? He has a mini stuffed Hokie bird that sits on his desk, so we tried looking for ideas with that for a while. However, who would think that a bird like that is so difficult to recreate in cake?! Good-ness. 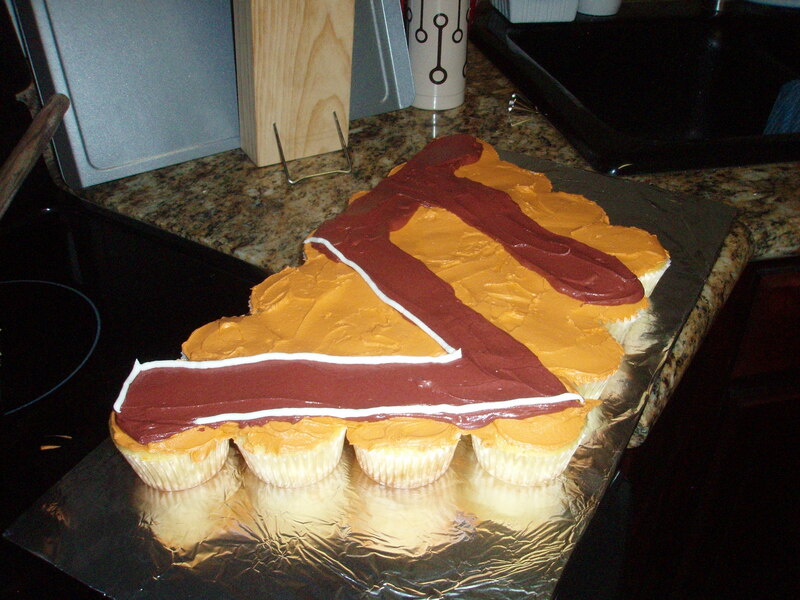 If we did something like that, it’d either be a maroon turkey, or lame. Laur did a most excellent job at piping. Nick, at coloring. 🙂 Happy Birthday David!